My friend D.J. Soto is the pastor of VR Church, and the Oculus GO was the device I've been waiting for to experience this new idea in church and evangelism. Virtual Reality and 360° Video is something that we've been watching for some time at CV. In partnership with Greg Laurie, and Harvest America, we produced and released our first 360° video in 2016. Recognizing the hunger for content in this new space, our teams continued to experiment and produced a new video in partnership with the then yet to be opened, Museum of the Bible. This video racked up over 1,000,000 views in a very short amount of time. The difference between VR and 360 is simple. Both offer an immersive experience for the viewer, but VR has the added benefit of being able to engage others within the environment. Previously available only to those with high-end VR headsets and powerful computers to drive the software, the Oculus GO provides a cost effective way for anyone to get stared in VR. I was in the U.K. this weekend and I attended D.J. 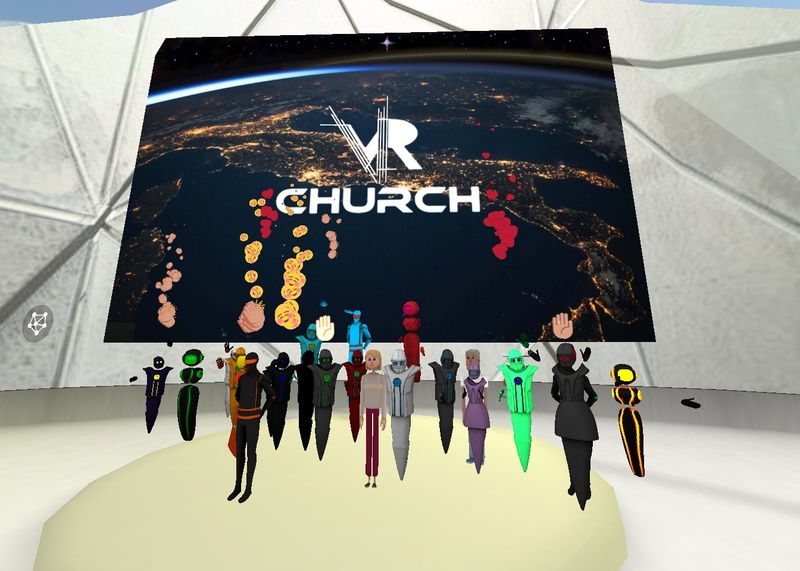 's VR Church on Sunday night before being scheduled to speak to a group of pastors and church leaders on Monday about the use of digital evangelism for community engagement, connection and discipleship. Knowing the timing of these two events, I had already planned to make VR Church an example of stretching our thinking about evangelism using digital tools. I relayed my experience to the ministry leaders gathered to listen to what I had to say on the topic of digital evangelism. Church began by meeting people in the church "lobby" before the service began. I was thrilled to realized that some of the avatars before me were people which I'd previously only known through reputation or online connections as Facebook friends. I chatted with a man from Oregon who has attended VR Church from the beginning and serves as one of the Elders of the church. Worship was facilitated much in the same way as any other church service I've attended. We sang along and lifted our hands to the music of Hillsong as motion graphics carried the lyrics on the screen for all to see. D.J. brought a wonderful sermon that was punctuated by the testimony of a special guest who shared how Jesus had freed him from a 10 year heroin addiction. When he announced he'd been clean since 2001, the 30+ people in attendance cheered for his victory in Christ. As I shared about VR Church with the room before me on Monday morning, I recognized the looks on their faces. It was the same look I must have had when hearing about VR Church for the first time in a recently published Wired Magazine article. Biblically speaking, what is church? 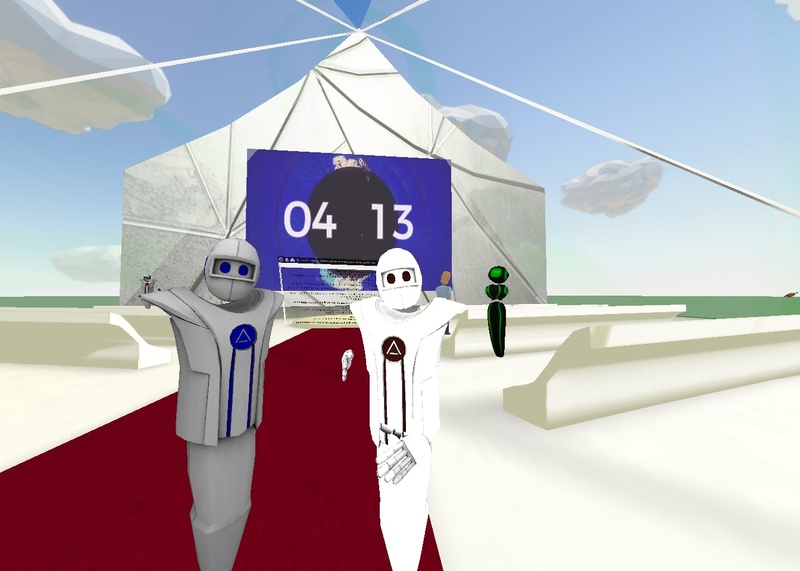 Can relationships formed in Virtual Reality transfer to face to face church? Should we call this church or, as one man questioned me after my presentation, does naming VR Church "church" give those unfamiliar with the faith a false understanding of how they should fellowship long term? All good questions. These will, no doubt, continue to be debated in the weeks to come as more and more people experience VR Church through the thousands of people that Oculus GO is introducing to the VR space. One thing I know to be true is this. The relationships formed in VR are real. People are friends. People are relating, connecting and sharing with one another. Just showing up is a big part of friendship. I, for one, will continue to show up for my buddy D.J. and be a part of exploring this new frontier of evangelism with a man who has a heart to reach the world with the Gospel...even if that world is accessed through VR.